Link up with group tour planners on GroupTour.com. 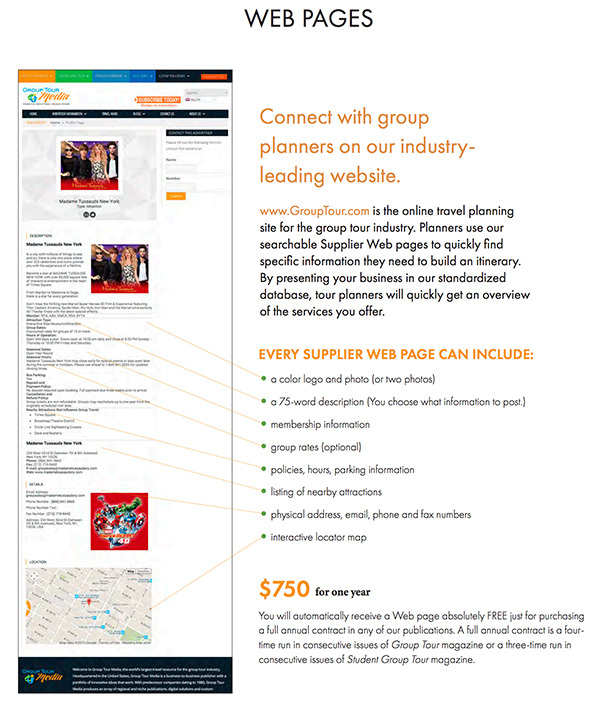 Planners use our searchable supplier Web pages to quickly find the specific information they need to build an itinerary. Click here to download a pdf with all the details. For more information, contact our sales team.